100% organic products are used in all of our spa services and we proudly feature Eminence, the renowned skin-care line made with high quality, organic ingredients straight from nature to treat your senses and your skin. Skincare TreatmentsAge-Defying Facial ~ A revitalizing series of custom blended fruits and vegetables addresses premature aging, sun damage, dehydration, loss of vitality, tone, and radiance. 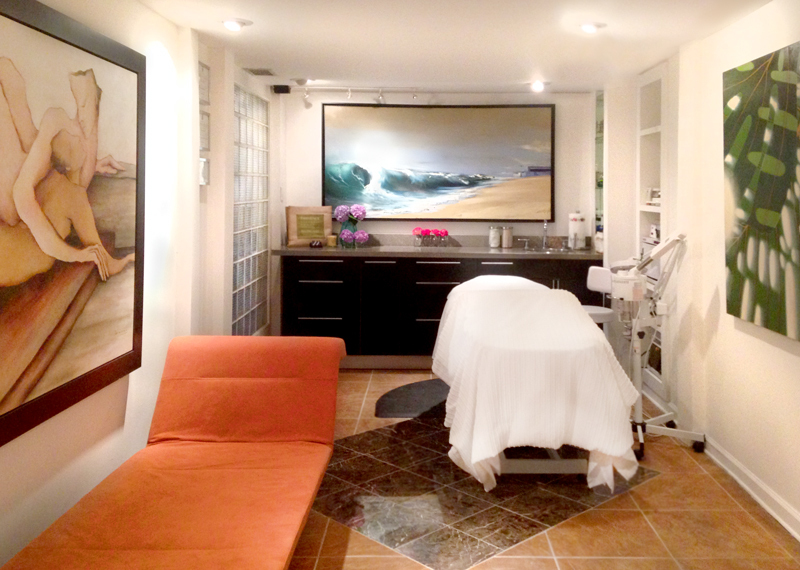 This exquisite facial is highly stimulating and results oriented. Rejuvenating the skin by the use of Hungarian facelift massage. Great for all skin types, especially mature clients. Arctic Berry Facial Peel ~ Discover smooth, even, and luminous skin with an exquisite blend of arctic berries, lingonberry seed oil, and hibiscus seed extract that target all skin concerns to give skin a new lease on life. This new amazing peel will restore radiance, improve fine lines and wrinkles, and reduce dark spots without any downtime. Back Facial ~ This spicy treatment uses Old World spices blended with delicious fruits and herbs to detoxify and smooth every inch of the back area. This difficult area to reach is often neglected, the treatment will increase cell turnover, exfoliate, and skin brighten. The Calm Skin Facial ~ A calming treatment using arnica, and rosehips which contain high quantities of Vitamin C, reduces redness and inflammation. The calendula and chamomile soothe and nourish, leaving a dewy complexion. This is ideal for rosacea and sensitive skin. The Clear Skin Facial ~ With the use of organic plants and vegetables, this purifying and restorative experience evens skin tone and reduces scarring, by incorporating extensive deep pore extractions. A healthy revived skin is revealed encouraging the healing of blemishes. Gentleman’s Facial ~ This facial is especially selected to address concerns such as premature aging, sun damage, loss of vitality, tone, and radiance. This treatment is excellent for all skin types, complete with exfoliation, delicate extractions followed by a soothing facial, neck, scalp, and shoulder massage. Oxygen Facial ~ This active facial assist the skin’s oxygen intake thereby stimulating cellular repair & metabolism, clearing clogged pores and rejuvenating the skin. It helps to detoxify and deep cleanse the skin. Skin Brightening Facial ~ With the use of stone crop, licorice, and gigawhite, this facial is wonderful for someone wanting to reduce hyperpigmentation, scars, and sun damage, or for just a brighter complexion. Threading ~ An ancient method of hair removal using a piece of thread. Results last longer and helps to preserve elasticity in the skin, great for all skin types, especially using Retin-A. No heat involved. Waxing ~ Full range of waxing services for all skin types, for smoother, hair-free skin that lasts for weeks. Reflexology ~ This massage uses pressure points on the feet to stimulate specific areas of the body. The benefits are felt deeply and immediately. Eye Treatment ~ Minimizes fine lines & wrinkles, as well as brightens & firms the delicate eye area. Lip Treatment ~ Erase winter dryness and treat your lips to a naturally effective three-step treatment. Gentle fruit enzymes refine the lip area, followed by an extra rich masque that deeply hydrates. Finish with a delicious minty non-petroleum based take-home balm that stimulates lip-plumping collagen. Body Polish ~ Experience an invigorating body sugar scrub the leaves your skin soft and velvety smooth for days. Brow and Lash Tint ~ Define and darken your brows and lashes with the use of vegetable dyes. Great for someone that wants to darken or cover up grays. Results last for weeks.